Homes that have their own water source (i.e. wells) have to be even more careful about the state of their water. Wells pull water from the ground, and this water can be contaminated with bacteria, heavy metals, nitrates, herbicides and pesticides, arsenic, and radon. Some contaminates are naturally occurring like arsenic and radon. Farming practices, manufacturing practices and malfunctioning wastewater systems (such as septic tanks) can also contaminate well water. What does poor water quality do to our health? Public water supply can be contaminated with bacteria, heavy metals and chemicals. According to the EPA, the most common health risks are gastrointestinal illnesses, reproductive issues and neurological disorders. Even small exposure to lead and mercury is linked to developmental issues in children, and kidney problems and high blood pressure in adults. Chlorine is added to public drinking water to kill harmful bacteria but has negative effects to human health and may lead to cancer if exposure is high. Well water has many of the same health risks as public water including gastrointestinal illnesses from bacteria, reproductive issues from metals and chemicals, and neurological disorders from dissolved metals like lead. Well water can also contain radon and arsenic which are known carcinogens. Sometimes contaminates in drinking water aren’t harmful to humans but make your water taste bad. If you have bad tasting water, you are less likely to drink it. Water consumption is necessary to stay healthy, and if you aren’t drinking water because of its bad taste then you are compromising your health. But the answer is not to resort to prepackaged water in plastic bottles. Plastic water bottles can leech harmful chemicals like antimony into the bottled water if it has been stored for many months. Using single use plastic water bottles on a regular basis is also a bad thing to do for the environment. The best thing to do is create good tasting, easily accessible water in your home. Be Aware of Neighboring Activity – You can start to protect yourself from unsafe water before you even buy the land to build your house. If you are buying land that needs a well, be aware of what the neighboring land is used for. If there is a farm or factory nearby, the ground water may be affected by the farming or manufacturing practices. Test Your Water – Go to your state’s department of environmental services website to find out how to test water in your area. Treatment Systems – If contaminants are present, you can plan accordingly to implement the type of treatment system needed to eliminate the contaminant. Below is a list of common contaminants and the associated treatment system. Access to Drinking Water – To stay hydrated and healthy, make sure you have easy access to good tasting water. 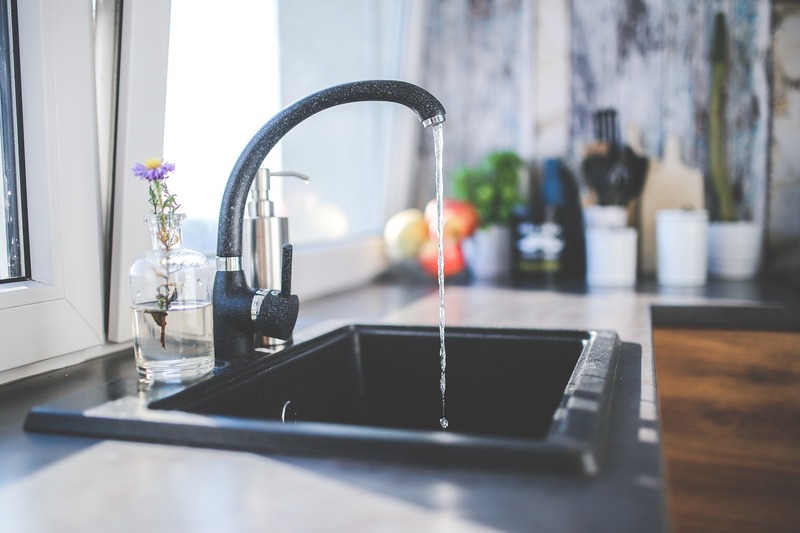 Water filtration systems can make water taste better and can be designed into your kitchen for a permanent installation. If you have a multi-level home, consider having access to good tasting water on each level. This might mean installing a filtration system at a bathroom or wet bar sink. Test Water Periodically – Unfortunately, water can become contaminated at any time. Heavy rains, new farming or industrial practices, and wastewater system malfunctions can change the quality of your water. Check your water once a year at a minimum. Treatment Systems – If your water is contaminated, remedy it with a treatment system. See the list above of common contaminates and associated treatment systems. Treatment systems can be expensive. Be sure to research reputable water treatment specialists and get multiple quotes. If you have contaminated water, it isn’t always necessary to install a costly treatment system. Sometimes all you need is a faucet installed filter or pitcher filter. This one by PUR worked great for us and is really easy to install. Proper Maintenance – Most water treatment systems require maintenance. The amount and cost of maintenance depends on the type of system. Maintenance costs should be considered before installing any treatment systems.